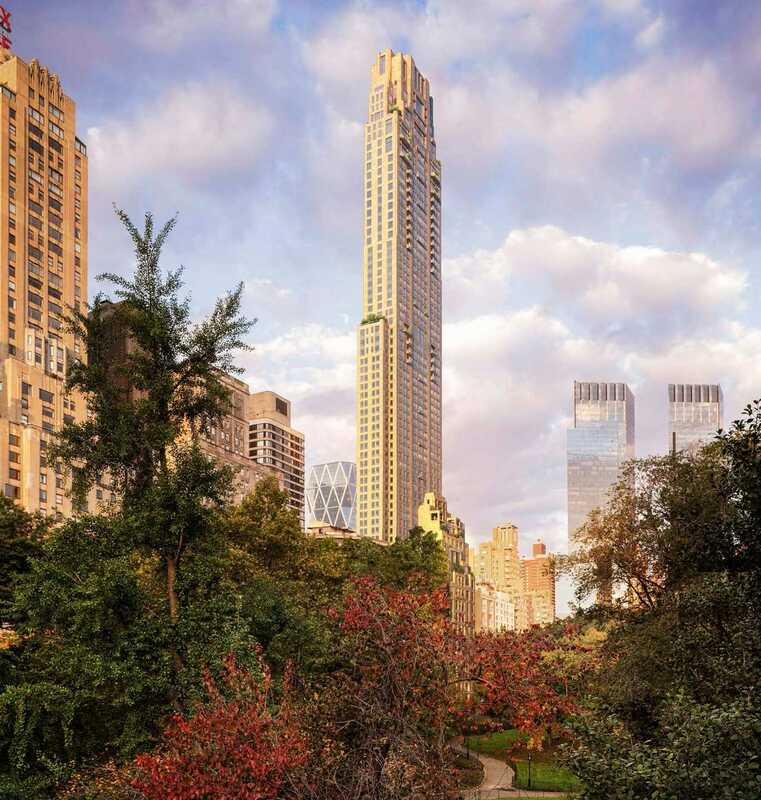 US hedge fund managing director, Ken Griffin has purchased the most expense residence ever in the U.S. His new penthouse quadruplex sits high in a residential building at 220 Central Park South, New York and cost US$238 million. The apartment covers four floors over 2229 sq.m. and affords magnificent views of Central Park. The 290 meter high building comprises seventy nine floors and one hundred and eighteen residential units and is clad with a creamy 2” thick, creamy Alabama silver shadow limestone facing. A 1,000 ton Tuned Mass Damper is contained within the building’s unoccupied top floors to improve structural performance during extreme wind events. The sale and purchase agreement was entered into in 2015 and has only recently become final with the approach of the completion of the building project. The purchase price is undoubtedly lofty however on the basis of a size metric, the sale price equates to circa US$10k per square foot whereas a penthouse at 15 Central Park West sold for US$88 million or $13k per square foot in 2012. Griffin is the 1990 founder and CEO of Chicago based Citadel LLC. He is aged 50 and reportedly has amassed earnings of $9.6 billion making him No.138 on the Bloomberg Billionaires Index of the world’s five hundred wealthiest people. While attending Harvard University Griffin began trading derivatives and he persuaded Harvard to allow him to install a satellite dish on the roof of his dorm in order that he could get better access to convertible bond quotes. Robert A. M. Stern, is a New York based architect, professor, and author. He is the founding partner of the architecture firm, Robert A.M. Stern Architects, also known as RAMSA and from 1998 to 2016 he was the Dean of the Yale School of Architecture. RAMSA is responsible for the architectural design of 220 Central Park South and the project partners are Michael D.Jones and Paul L.Whalen.